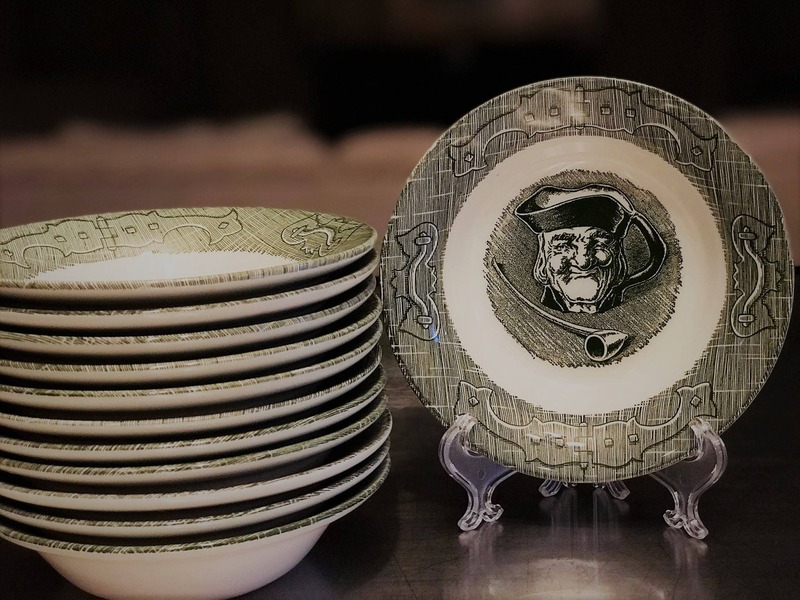 The Fruit/Dessert or Sauce Bowl is about 5 5/8 inches in diameter and about 1 ¼ inches deep, and is a forest green in color. 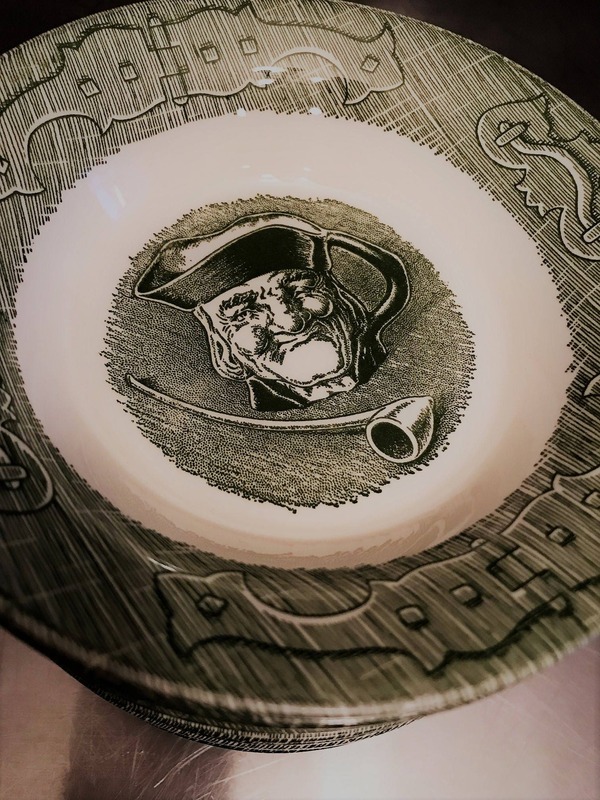 It features an old man’s face in a mug and a pipe inside the bowl. This would be a nice start (or addition to) someone's Curiosity shop collection. The set is nostalgic and brings back memories of simper times.